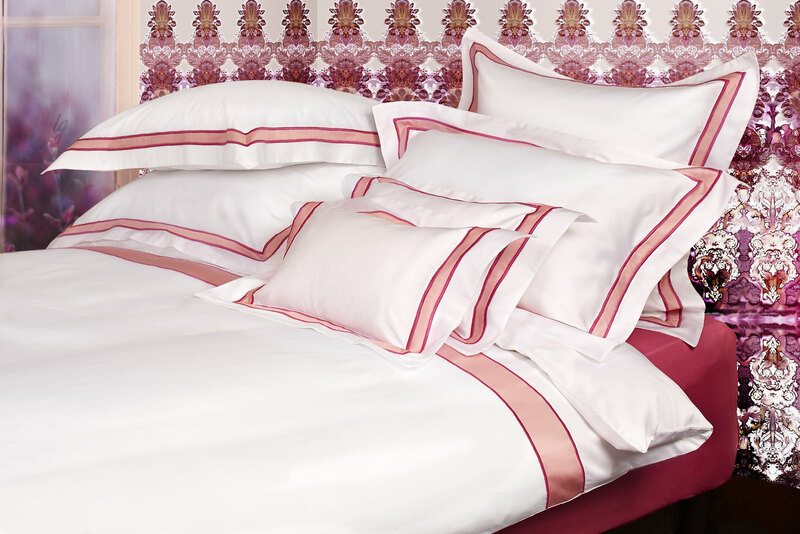 The duvets cover entirely in pure cotton satin, 300 thread count, is produced with one band applied horizontally with a satin stitch on each size in a tone on tone color . Shams are made with four borders in the same way as the duvet cover but here with a smaller size band . This is 2 cm whereas on the duvet it measures 8,5 cm. Once again, flat sheets are made with a single satin band 8cm from the edge, sewn with the satin stitch, tone on tone , on each side.